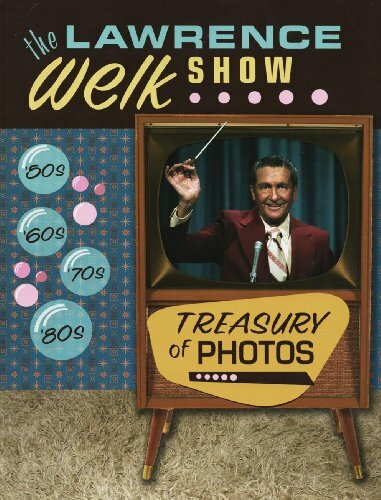 For the Welk-fan, this book with Welk family photos is terrific.At very least, its a conversation piece for a younger generation.If youremember saturdaynight watching Lawrence when Dodge or Geritol was hissponser - this is for you! Today I finished reading Wunnerful, Wunnerful! 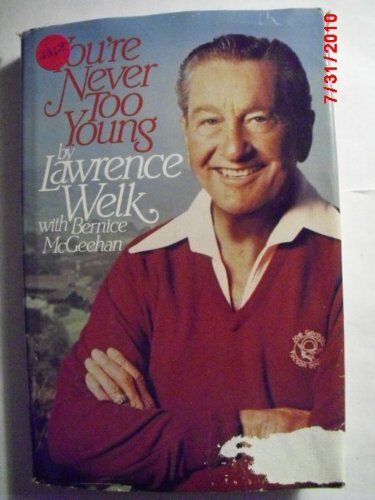 The Autobiography of Lawrence Welk by Lawrence Welk with Bernice McGeehan. I am a huge fan of "The Lawrence Welk Show", and have been for about twenty years, when I turned on a Christmas rerun and was hooked by the bouncy music. I watch classic rerun episodes every weekend on PBS and I am proud owner of about a dozen CD's by the Lawrence Welk Orchestra, plus others by members of the Welk musical family, including the Lennon Sisters and pianist Jo Ann Castle. Welk wrote this book at the height of his popularity in 1971. He had by then had a ten-year string of hits on the Billboard Hot 100, starting with the number one "Calcutta" in 1961. Throughout this autobio Welk bemoans his lack of proficient English as he claims to have spoken only German at home and in school. While many immigrant families spoke the language of the old country at home, and even in school where Welk's teachers themselves had English as a second language, I doubt his claim that he didn't learn English until the age of 21--this is a Welk myth that I think even he has been misled to believe. Nevertheless I doubt that Welk had much part in actually writing this autobio. It was a rapid read which carried more like a very long interview session with the coauthor McGeehan. Lawrence Welk was a religious man who lived his life according to Catholic principles. He had profound faith and seemed almost naïve in his trust in people. He was not afraid to tell of the many times people took advantage of him as he was building his career, and even after he had "made it" in Hollywood. In spite of these run-ins with scammers and rip-off artists, Welk never lost his faith in people and he could only joke about lessons he had learned the hard way. Welk addresses some items of show gossip (take it from me, a Welk fan would want to know the truth behind these things) such as the real reasons why Champagne Lady Alice Lon left, and why the Lennon Sisters left the show under supposedly acrimonious circumstances. Wunnerful has plenty of history of the American midwest musical scene, and Welk has a great memory for capturing every detail of the old dance palaces of the 1930's and 40's. I can hear him right now playing the accordion as he dances around the stage. Music was Welk's first passion and his love for it is easily translated to the written page. enjoyed the Wunnerful, wunnerful book. 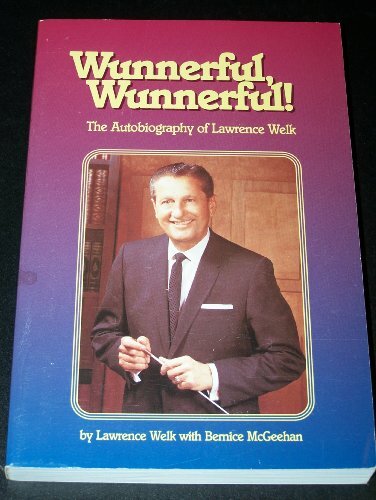 Lawrence Welk thinks he has the solution for making America better--to run the country like he runs his company.So he spends the first half of the book praising himself for selecting talent, picking great songs, making decisions and even playing golf.He does it all while subtlycondemning many of the people who work for him.He often points out where co-workers are wrong and he is right.He also picks on a little group of girls called the Semonskis who he repeatedly claims aren't good enough to have regular jobs on his show because they don't work hard enough.Virtually every chapter in the first half of the book contains a put-down of these little children that range from 7 to 17. Then the second half of the book explains his "plan" for making America better--which isn't much of a plan at all.It's simply the waypeople did business 75 years ago, with no contracts, taking Sunday off to worship and being responsible. This book shows Welk to be a bossy know-it-all, although he in the book claims he is not the dictator he is accused of.Yet almost everything in the book points to him being a tough boss who is blunt in his put-downs of others and generous with his praise of himself.He's a stubborn old North Dakotan farmer who lacks the humility point out his own faults and others strengths. In the end this book is merely him promoting himself more than his old-fashioned values.There's nothing wrong with the values--it's just that he didn't have to spend the first half of the book putting others down to make himself look good. By the way, to get an interesting different view of Welk, read Bob Eubanks book--where he gives specifics of how Welk kept people at low pay, owed some thousands in back pay, and fired the Lennon Sisters for wanting a raise.Welk comes across as a terrible person--but you won't ever find him admitting it himself! 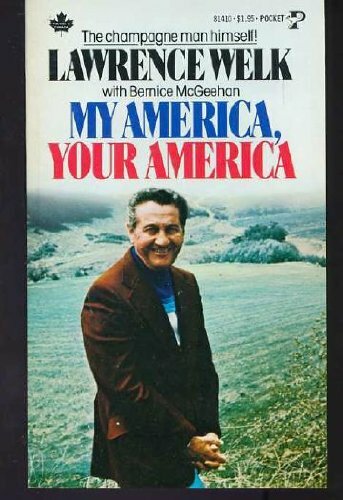 "My america, your america" by Lawrence Welk was written in the brutally depressing year of 1976. Mr. Welk is convinced that America will be saved when they start putting children to work. Welk was an uneducated man, but his idea was not unlike what the ancient Greeks and Florentines did, and he got it from watching young kids he trained to be professional musicians. Apprentice a kid to a great man, and they might do great things. At the very least, it makes more sense than what is done now. It also makes children into sources of wealth, rather than 30 year burdens, which is just ridiculous on every level. Children, like adults, need structure, work, activity. They also need play, creative stimulus and freedom. What do kids get these days? Kids get boredom, jail-like conditions and video games. School is abysmal. Any child of spirit would rebel against the horror that is school from first through twelfth grade, let alone teenagers, who are really (or should be) young adults. The only people who can tolerate school are neurasthenics, bums and narcs. School has always been bad. It isn't that we don't pay the wretches who man these meat grinders enough money to get quality people as teachers. It isn't even the horrific bureaucracy which has ruined everything that is good about school (and anything else it touches). The whole idea is stupid. It's jail. Schools are designed for a very short part of the industrial age, where workers were expected to be compliant, civil, and have a basic education (up to, say, the 6th or 8th grade). Extending school to "high school" was a sort of utopian idea. In those days, that meant everyone had a right to what is now considered a college education. In those days, about as many people actually graduated from high school as presently graduate from college (30% or so). Now, what happens is the morons stretch out what used to be an 8th grade education to the 12th grade, and college education is what used to happen in high school. If school did 1/10 of what its advocates claimed, I'd be all for it. But the fact of the matter is, people emerge from 4 years of high school, and even 4 years of Ivy League College without knowing Xenophon from Xylophones. People who learn stuff are curious; not educated. Meanwhile, most training is on the job anyway. Of course, none of this will happen. School is big business. How big? $620 billion dollars in 1999 to keep the young and vital portion of the populace stupid and in jail. Inflation and population adjusted, we only spent 1/3 of that in 1960. School now costs 3 times what it did then. Did we learn 3 times as much stuff? I doubt it.Most of what is taught in school now a days isn't even knowledge; it's not even political indoctrination, like right-wingers say. Mostly, it's just playing at learning stuff. If you're working, you need to learn certain things, and so those things get learned. Benvenuto Cellini became one of the greatest artists in the western world after working a six month apprenticeship. No schooling to speak of. He was extremely cultured, and knew at 15 more than any modern man of any educational attainment could hope to know. Getting people out of school as early as possible ought to be a goal for any proper society. The longer people are in school, the less connected with realities of life they are. People who work actually experience what life is. People who go to school perpetuate simpering adolescent thinking and all the atrocities which go with it. They are also parasites. What is an adolescent but a parasite? They're perfectly capable of getting a living themselves, but they accept handouts from their betters. Generally biting the hand that feeds them, while they are at it. Compare you average dockworker with your average Ph.D. in english literature. Which one would you go to for advice about what to do when your plumbing breaks, or what to do about a disobedient child? If you're sane; talk to the dock worker. Everyone knows working people are real adults, whereas schoolbirds are self-important nitwits. Why are we building a nation of nitwits instead of a nation of Benvenuto Cellinis?